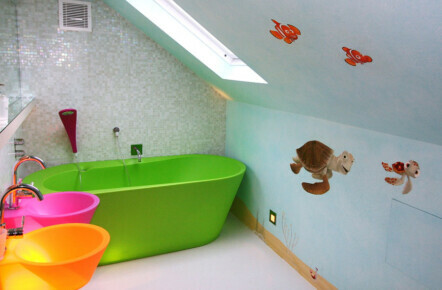 This hand painted bathroom mural was painted in the same house as the ‘Cars’ and Flower Fairies murals. 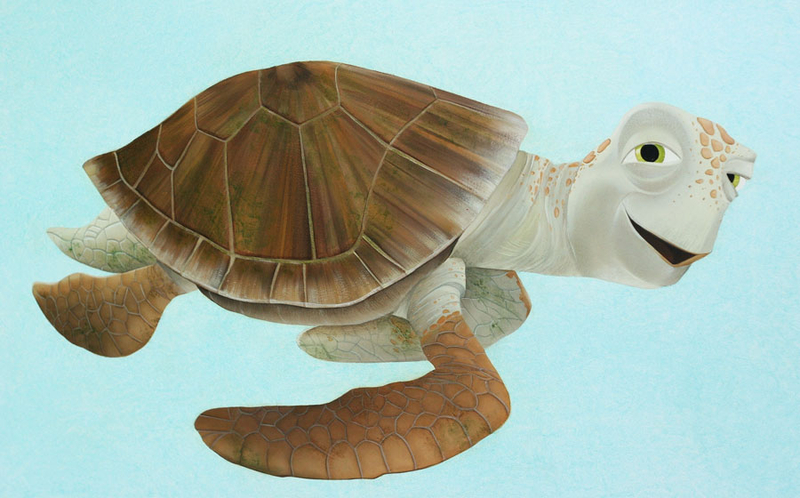 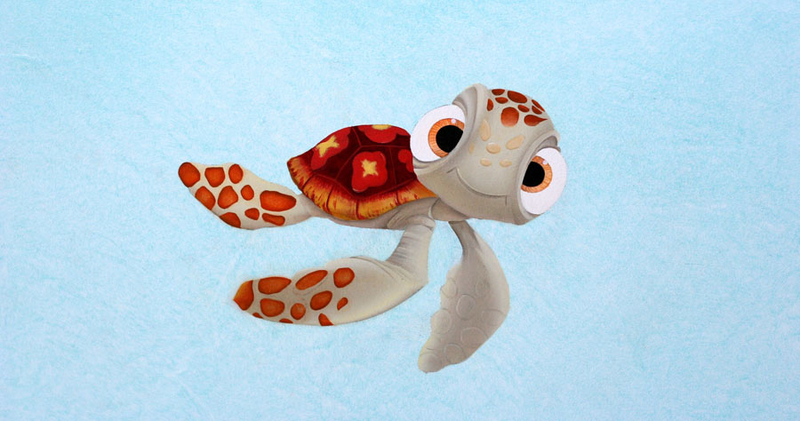 The mural was painted in exquisite detail and includes all the major characters from the Finding Nemo film. 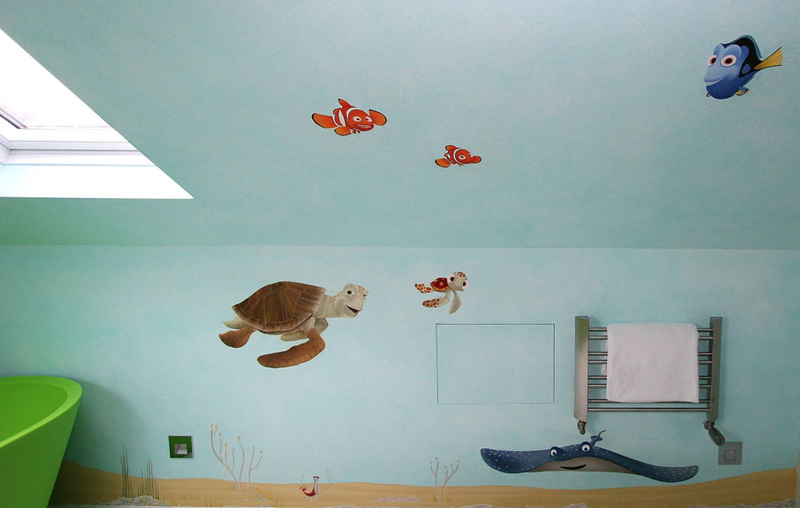 The blue oil glaze background and detailed sandy sea floor added depth to the mural and really helped create a lovely underwater feel.